Famous Swiss Fashion And Beauty Blogger | Slovenska Blogerka - She.Is.The.One: GIVEAWAY: M.A.C. So guess, which giveaway have not been here yet? M.A.C. giveaway! Are you excited? I am very much. Today I have for you a package of branded cosmetics, valued at USD 104, which includes eye shadows, eyebrow pencil, mascara and lipstick. Exactly the things, which you need every single day. All high quality products. Giveawaye rules are simple. Just follow this blog via Google+ and leave your email. Giveaway is open internationally and will run until 7.9.2016. No tipnite si, aká giveaway tu ešte nebola? No predsa tá M.A.C-ovská. Tešíte sa? Ja veľmi. Dnes mám pre vás balíček tejto značkovej kozmetiky, v hodnote USD 104, ktorý obsahuje tiene na oči, ceruzku na obočie, maskaru a rúž. Skrátka také tie veci, ktoré potrebujete dennodenne. Všetko vysoko kvalitné produkty. Pravidlá giveawaye sú jednoduché. Stačí sledovať tento blog cez Google+ a zanechať na seba email. Giveaway je otvorená medzinárodne a pobeží do 7.9.2016. Fabulous giveaway. Entered and thanks for the chance. I adore makeup, especially MAC :) My greatest love: * beautiful gift for all of us. I love Make up thank you this giveaway!! Great !! I love makeup , Gracias . thanks Ema for this giweavay ! Love it ! Such an amazing giveaway! Thank you so much for the chance! Hey Ema, Thanks or a chance! Love this giveaway! Thank you so much Ema!! Awesome giveaway! Thanks a lot for the chance to win! With a makeup crazed daughter, this would be great! Your giveaways are always amazing but this is fabulous!!! Yes, I´m very excited about this Mac giveaway :D Thanks for the chance. Wau! Mac kosmetiku jsem vždy chtěla zkusit, no nikdy jsem neměla odvahu do ní zainvestovat! Vyhrát ji by bylo úžasné! 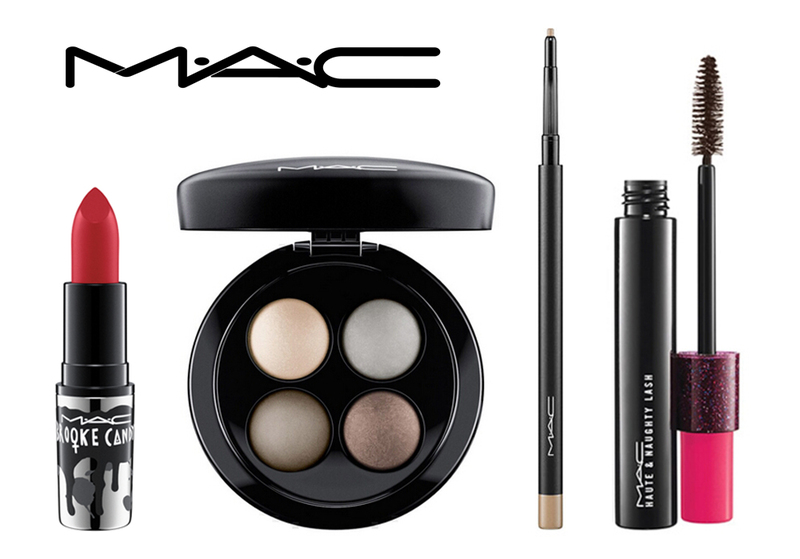 Amazing giveway for those who don't really have the money to buy mac makeup ! Thank you so much ! Hope I'll win ! Nice giveaway. Thanks for the giveaway. I want to get into using make up so this would be great to win! Naprosto úžasná GA Emi, to si vážně budu držet pořádně palce, vážně bomba! Adoro todos os produtos! Parabéns pelo passatempo! boa sorte a todas!